Today I'm giving my opinion on another similar facial therapy combo from the brand that addresses concerns like fine lines, premature wrinkles, age spots etc that can make anyone unhappy about the skin's health. The product is named Skin Rejuvenation Facial Therapy. If you are planning to get your facial done at home, I would recommend starting with a nice steam for the face. The warmth of the steam causes your face to sweat, opens the pores and softens the surface of skin. It increases blood circulation as well. 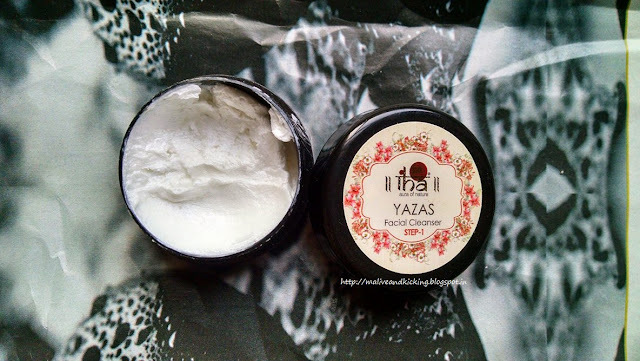 While using the IHA Skin Rejuvenation Facial Therapy pack, I began with applying the gentle cleanser Yazas that is shiny white cream with pleasant but bit strong fragrance. It's made up of Neem, Lemon, Aloe Vera, Turmeric, Indian Basil etc. The cream looks thicker than usual cleansers but spreads easily as you massage on skin. The cleanser doesn't lathers and is completely soap-free. It removes excess oil, makeup, dirt and debris that could have been trapped in pores and cleanses the face deeply. The cleanser requires thorough massage to rinse off. 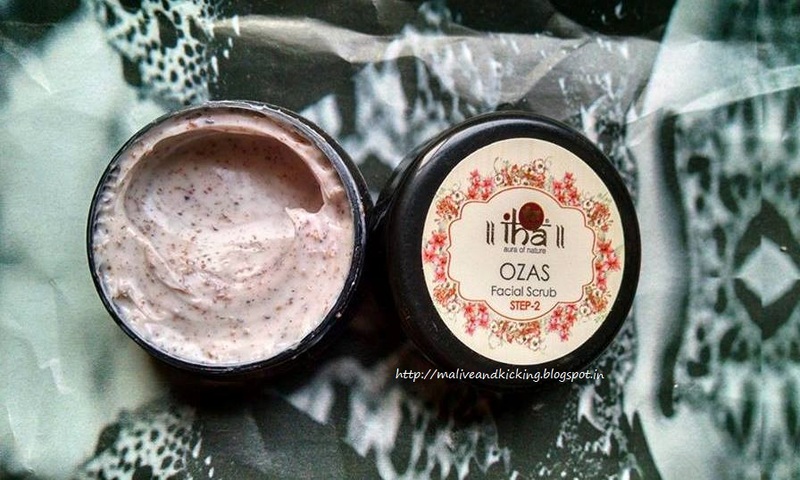 Follow the exfoliation step using ayurvedic scrub Ozas after cleansing has been done. This humble scrub contains micro granules of walnut generously mixed into product including other ingredients like Red Sandalwood, Indian Madder, Mango Ginger, Indian Drumstick, Saffron etc. The scrub has moderate consistency to dissolve easily over the skin surface. A tiny scoop of the product work up to loosen the dead skin accumulation. You may concentrate more on the areas of concern to remove blackheads or whiteheads but avoid being very firm if your skin is acne-affected else you will end up worsen the acne scar. It's enough to scrub your face once a week for getting plump and smooth skin. When the top layer of the skin feels unclogged and is free from dead skin, give it a good massage using a nourishing cream. This combo pack comes with massage cream Shreyaz that aims at replenishing skin moisture and promoting even-toned skin. The cream has light milky fragrance and gives cool effect to the skin. It penetrates easily and immediately without much effort. 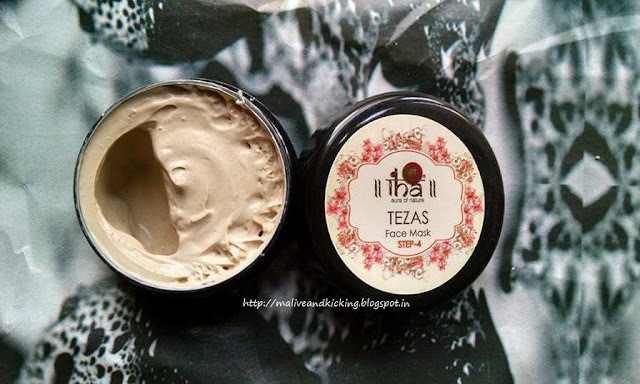 Loaded with natural actives like Pink Lotus, Mustard, Aloe Vera, Indian Madder and many more; the cream treats the skin to improve skin's elasticity and brings out healthy glow. 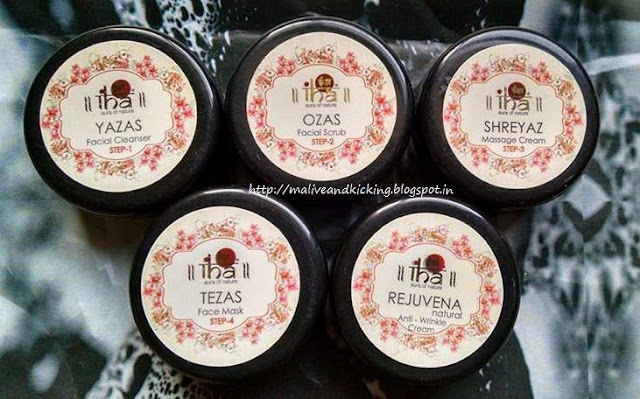 Don't forget to give your face a quick lift using an effective face mask formulated with precious herbs like Tezas mask. It uses Sweet Cherry, Licorice, Gotukola, Drumstick tree extract , Fenugreek etc. Keep a thick layer of mask on the face for 10-15 minutes to fight problems like dry and rough skin, pigmentation etc. I don't know why but its fragrance resembles a lot to Jasmine flower which I liked a lot. The brown creamy mask is easy to apply being a cream and requires no mixing up with any plain water/ milk/ rose water etc unlike powdered masks which I find a hassle to use. 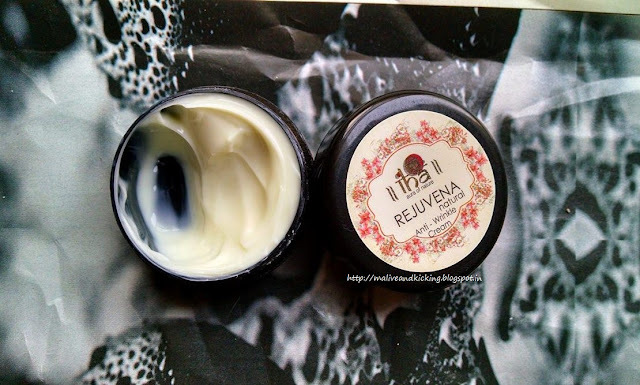 Complete your home facial with an anti-wrinkle massage cream Rejuvena. Just apply a thin layer of cream all over the face and neck, massage gently in light strokes and forget. 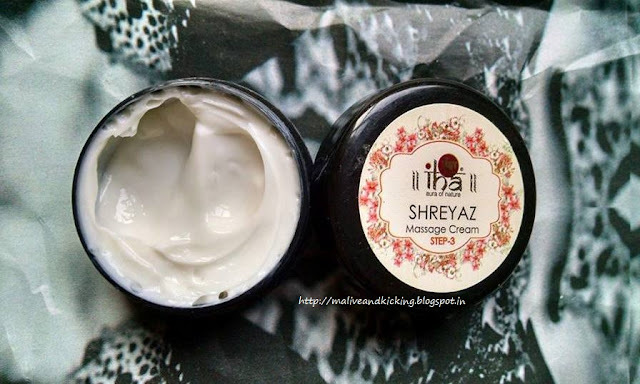 This cream is meant to be left on the skin and not to be rinsed off to avail maximum benefit. This can be used as a night treatment cream every night before you go to bed to reap the ultimate effect. This combo pack is also a good gift option for your friends or loved ones, especially females or anyone else who is craving for youthful glow this festive season. 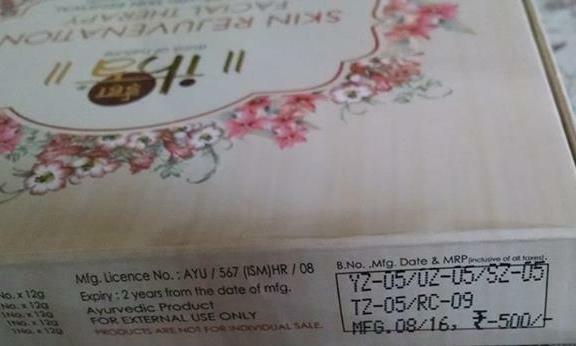 The product is priced at Rs. 500. Once you are committed to the skin-care routine religiously, many of the skin concerns would bid you goodbye and leave you happier within healthy skin. I love doing facials at home. 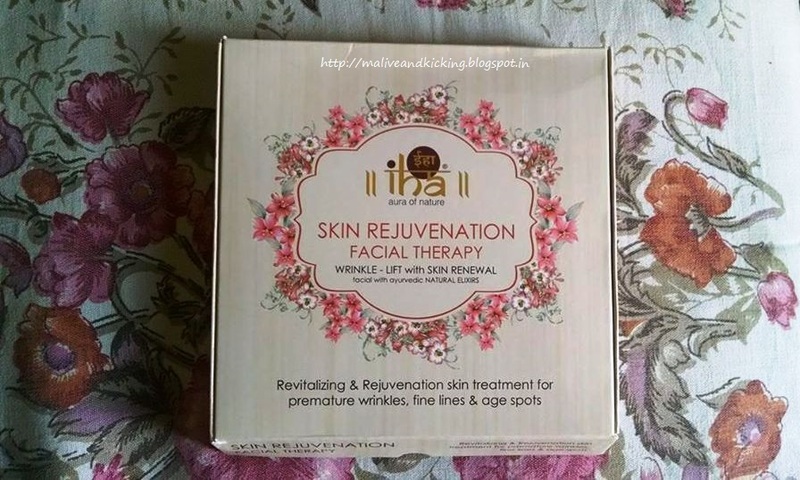 This facial kit sounds really awesome and natural. Will give this a try. glad to know that u also do facial at home. its actually a better option most of time when u r short of time. Sounds perfect to pamper yourself at home. 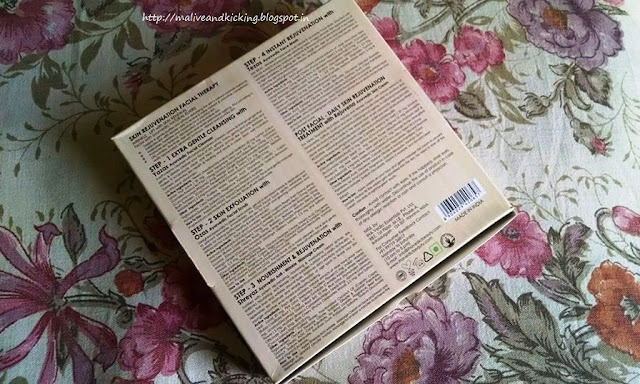 And I like the box packaging. Wow! This would be very useful to me bcoz I do facial at home.